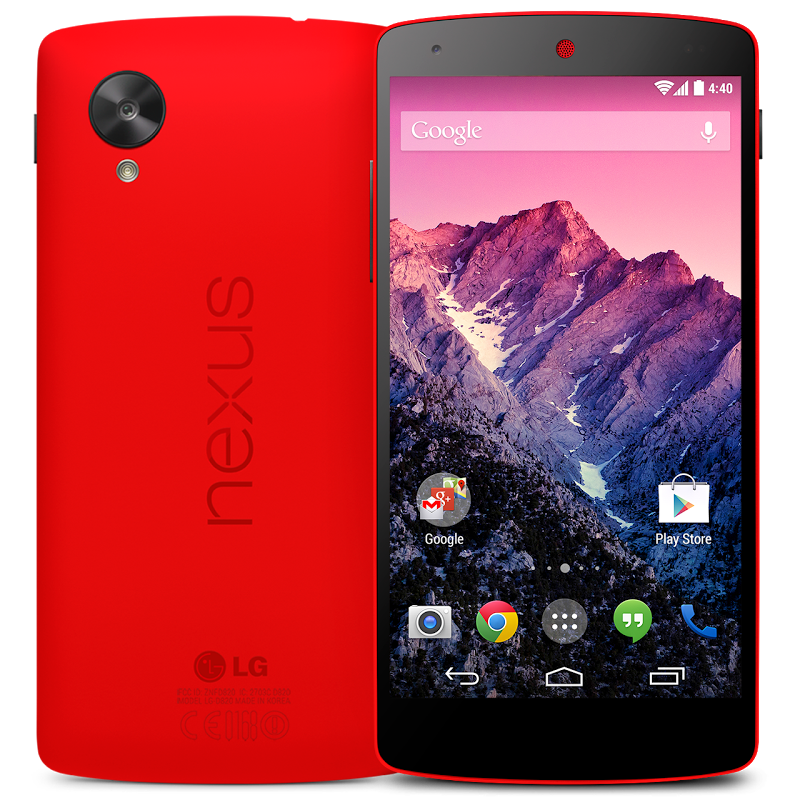 The Nexus 5 isn't exactly the latest and greatest smartphone anymore, but it seems like the phone won't be getting a follow-up, so perhaps it's not such a bad buy for the time being. If you were holding out for a good deal on the 32GB model and demanded a specific color, today may be the time to pull the trigger. 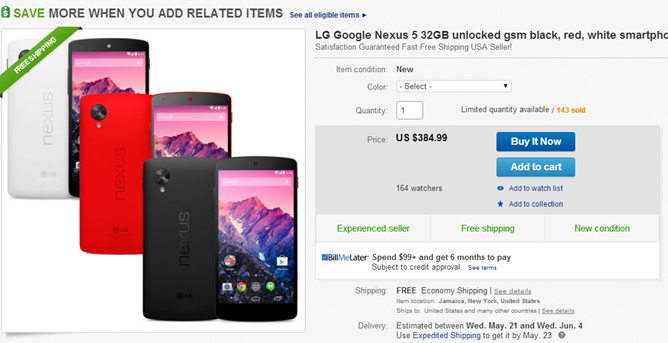 eBay Daily Deals has the 32GB Nexus 5 in all three colors for $384.99 shipped, and there's no sales tax anywhere but the state of New York. If you reside in California, this will save you around $65 over Google depending on your county sales tax (if there is one), for example. Head over to eBay to get your deal on now.